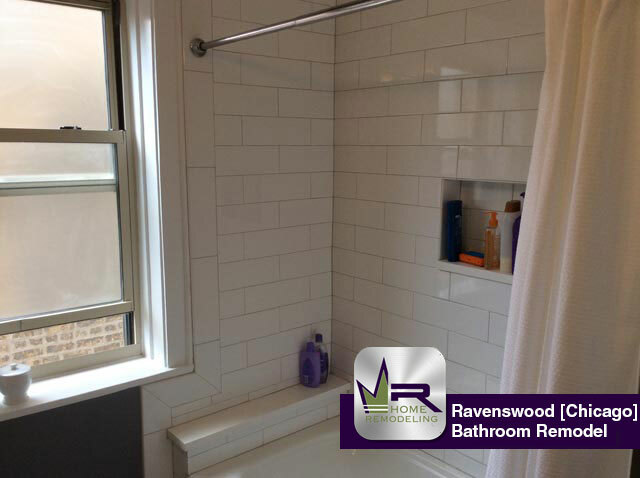 This home is located in Ravenswood, which is one of the 77 well-defined Chicago community areas. 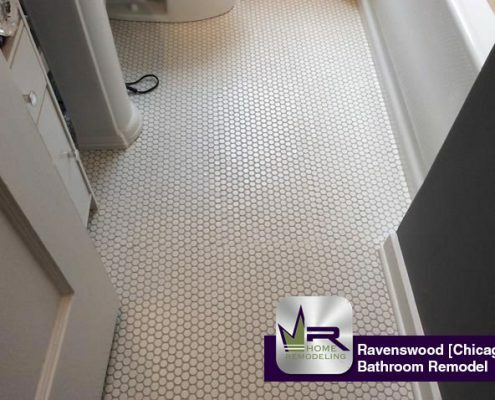 It is located in Lincoln Square, which also encompasses Ravenswood Gardens, Bowmanville, and Budlong Woods. 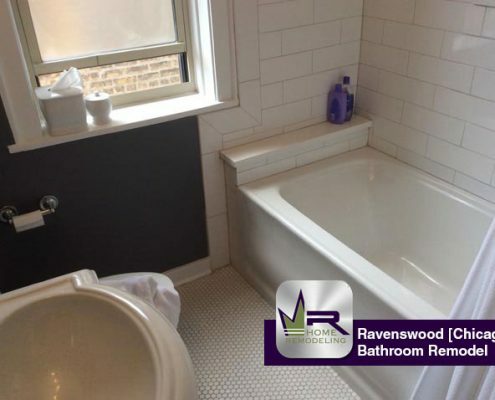 This home is located close to the intersection of North Lincoln Avenue and West Foster Avenue on the Northern side of Chicago. 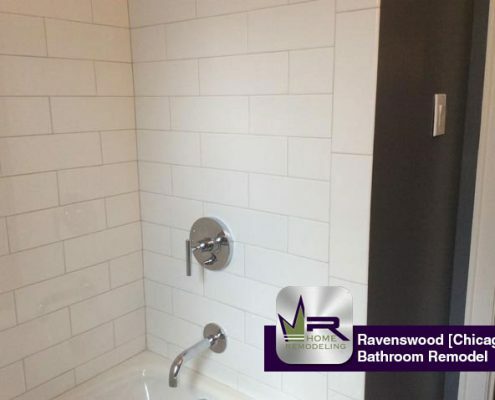 Some of the notable restaurants nearby include: The Angry Crab, San Soo Gab San Korean BBQ, Pueblito Viejo, Shawarma Inn, Rowie’s Bakery, and countless others. 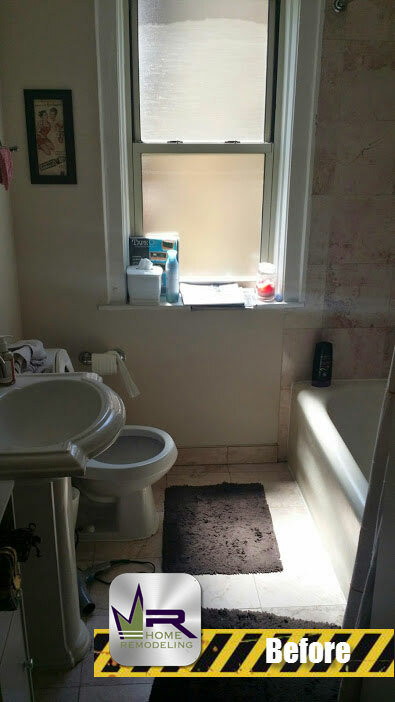 For night life, the residents of this area enjoy visiting: Café Latin Bliss, Lincoln Karaoke, Sunsut Pho Caffe, Hidden Cove, Piccolo Lounge, and more. 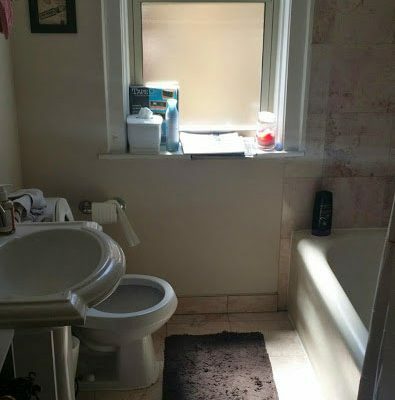 This bathroom needed to be revamped in the eyes of the customers. 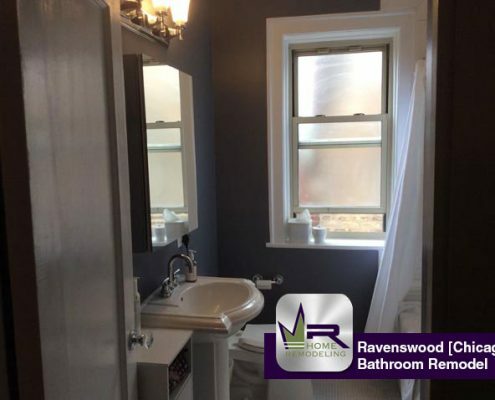 They wanted the bathroom to be more elegant, cleaner, and presentable. 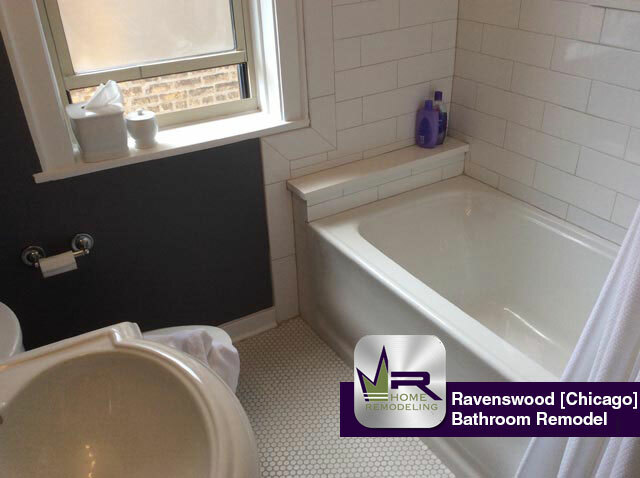 The color scheme of the bathroom was not meshing well with the residents’ style and they were looking for something brighter and cleaner. 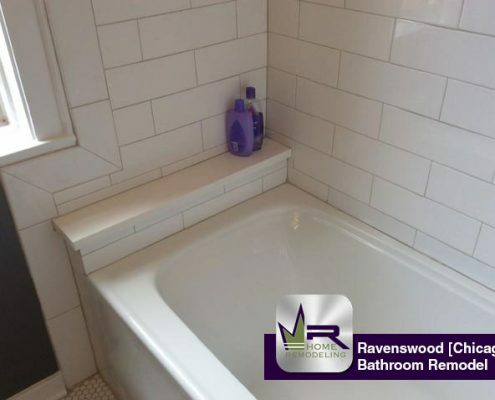 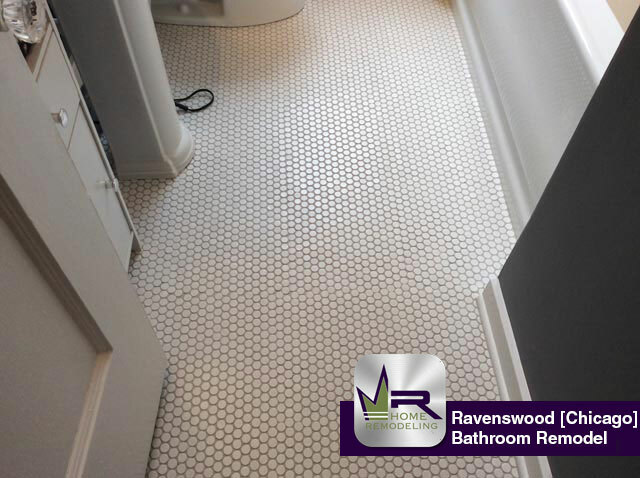 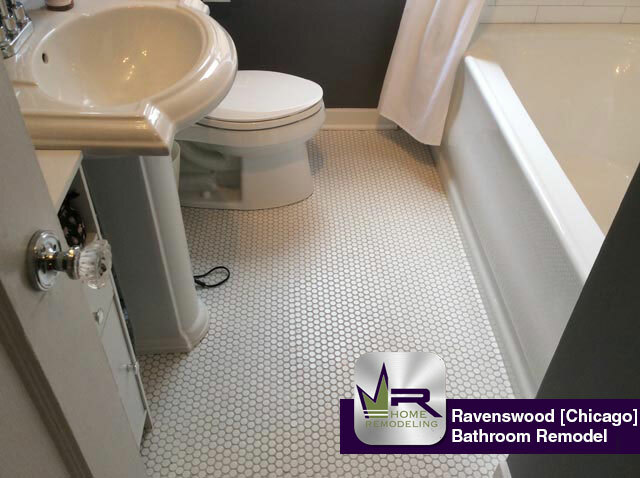 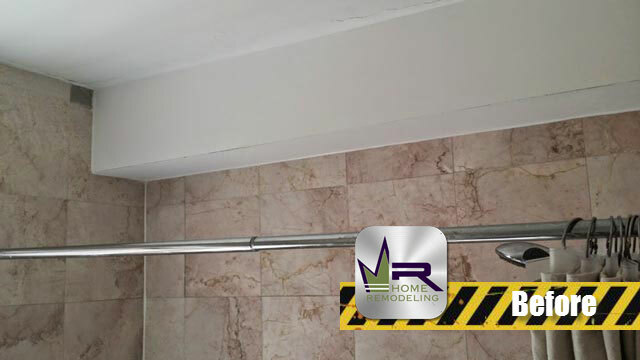 Regency began with the demolition of all flooring, walls, fixtures, tub walls and tub. Plumbing was reworked for the new drain location and installation of the new tub. 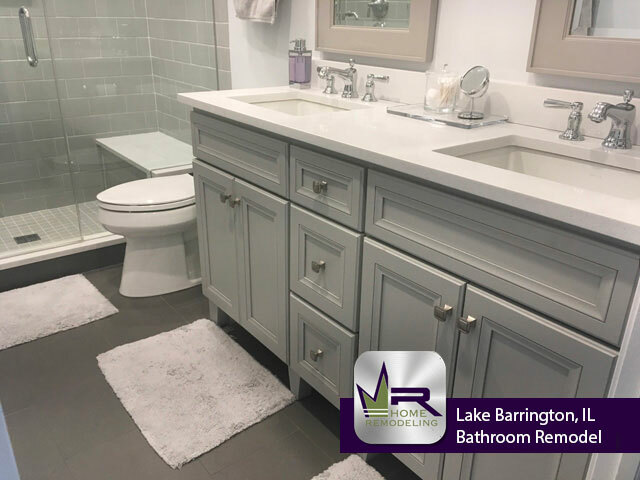 The purpose of this remodel was to convert an outdated bathroom space into one that is up to date and portrays elegance and style. 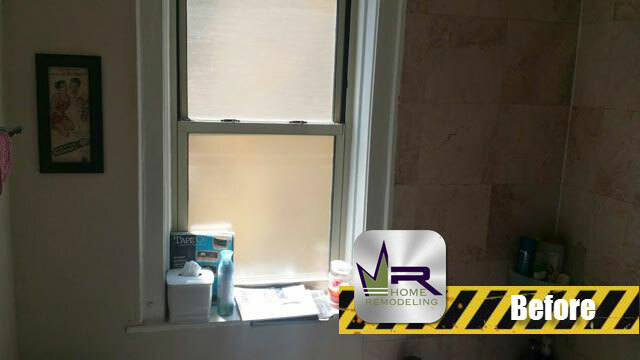 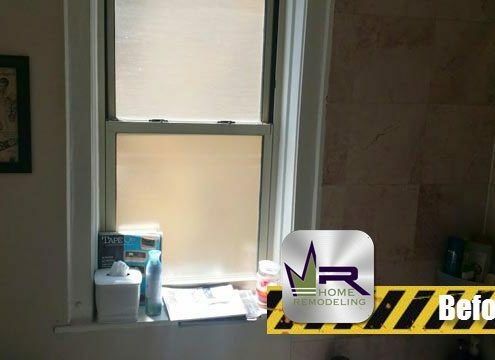 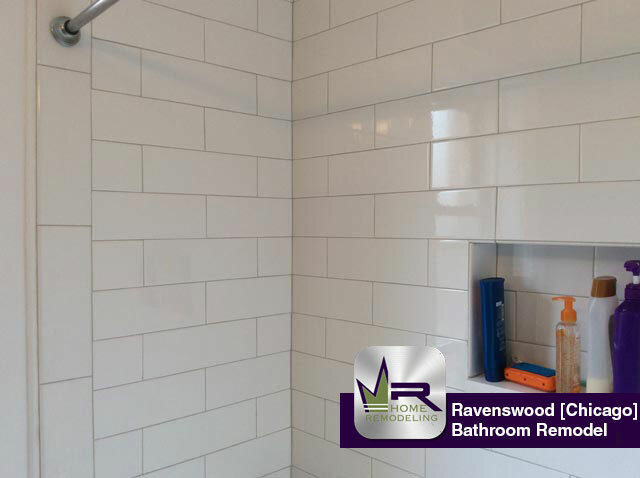 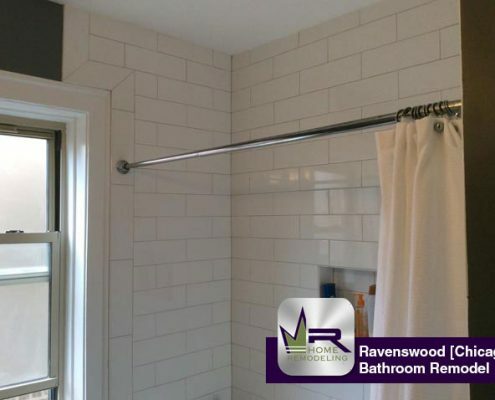 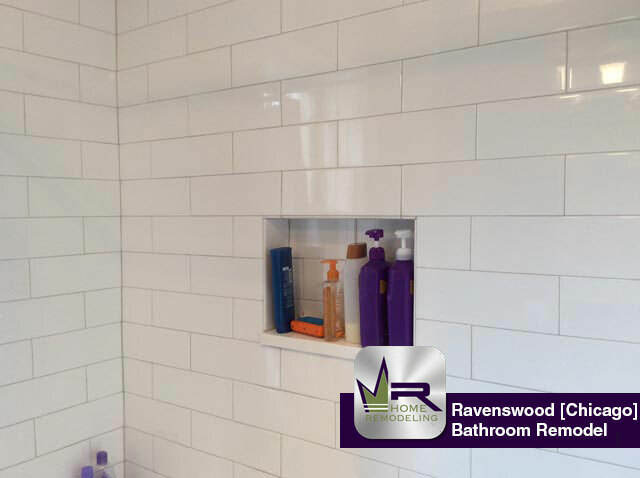 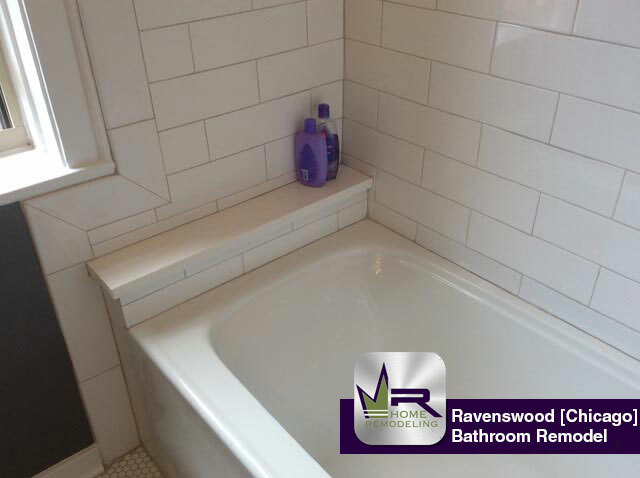 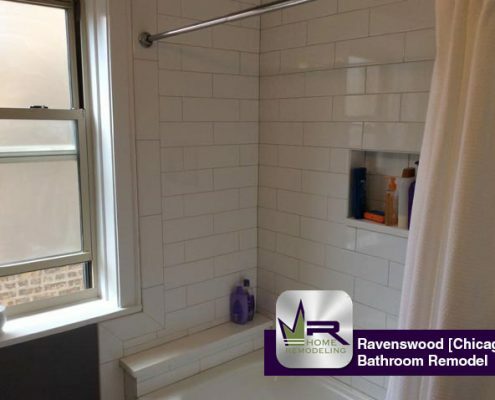 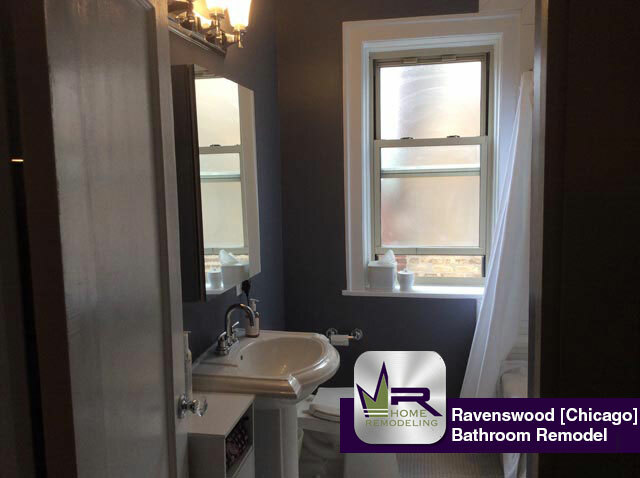 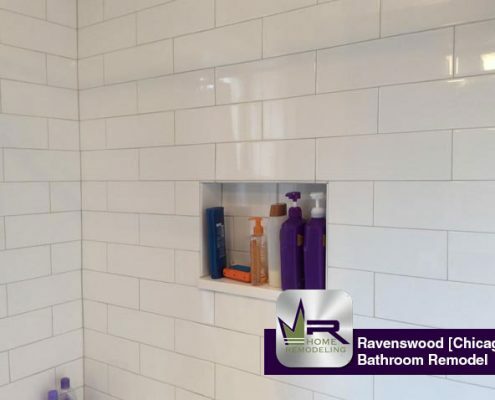 Regency did a spectacular job with the conversion of this bathroom space. 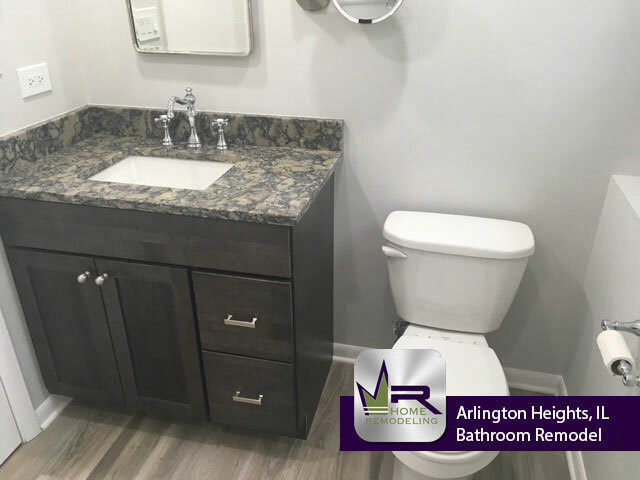 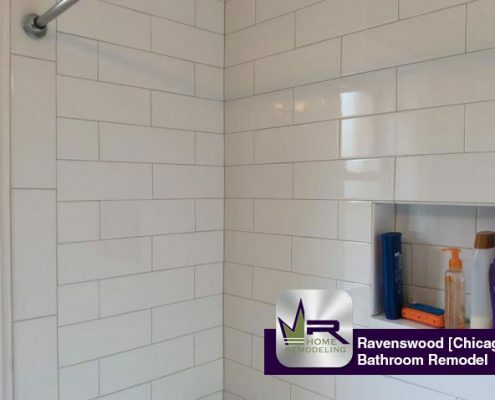 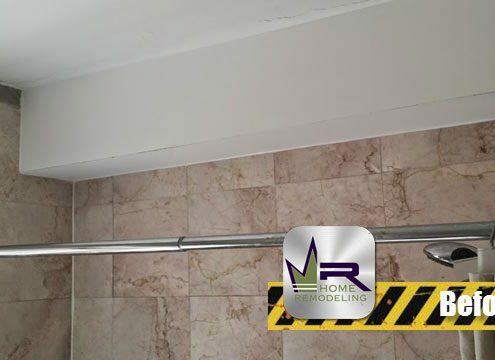 The most noticeable change when walking into the new bathroom is the new color scheme, which makes the bathroom appear much cleaner, brighter, and welcoming. 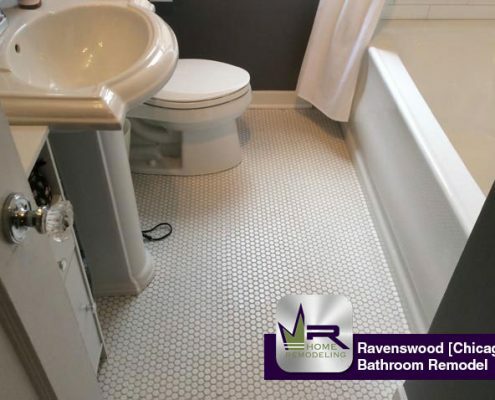 This was successfully accomplished with the new Bold White Retro Rounds tile floor, which matched very well with the Artic White Modern Dimensions tile from Daltile that surrounded the tub area. 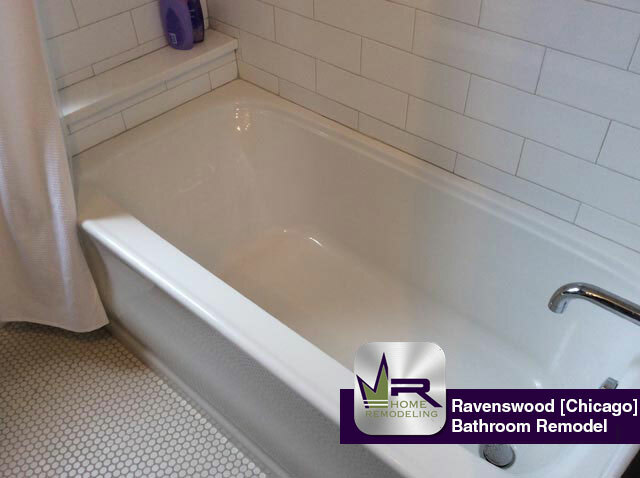 The sleek, white finishes was maintained with the Bancroft Kohler bathtub, Adair Kohler toilet, and Kohler Sink. In order to portray a modern and elegant appearance, a polished chrome Purist showerhead from Kohler was installed. All of the brighter fixtures and finishes were beautifully contrasted by the gorgeous, navy painting of the dry wall. 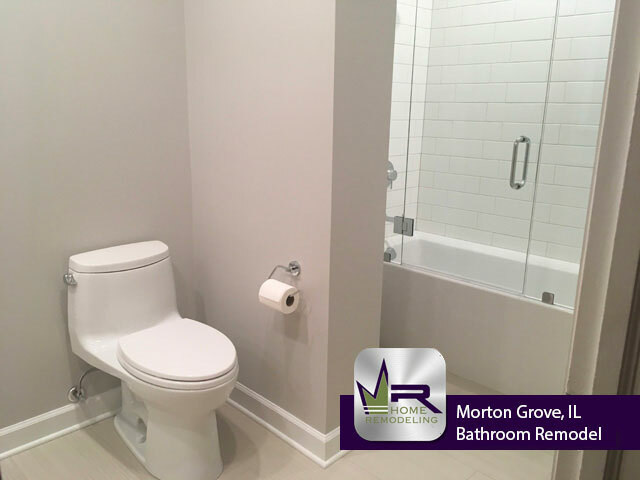 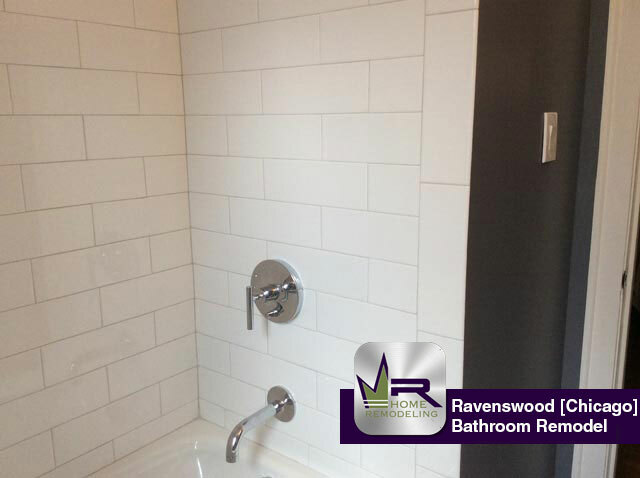 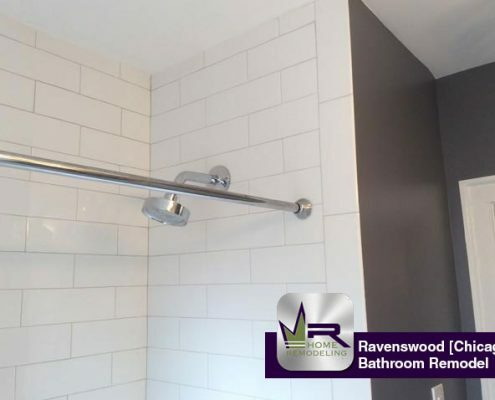 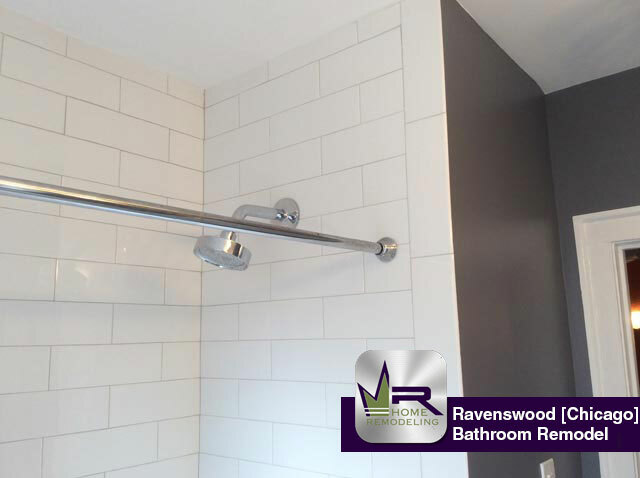 This bathroom is awesome and the residents absolutely love their new space!